Shahrukh Khan also is known as SRK is one of the leading actors/producer in the Bollywood Industry & is referred to as “Badshah” which means “King of Bollywood.” He is one of the known faces not only in India but also worldwide. Shahrukh Khan has appeared in more than 80 movies & won several awards in his acting career. Apart from the Film Industry, he is also known as a successful businessman. Earlier to his Bollywood career, he was seen in TV shows like Circus, Fauji, Wagle Ki Duniya, Umeed and more. He started his career with his first TV Show Circus in the early ’90s and gained popularity among his fans. Soon he made his debut in Deewana released in 1992 alongside Rishi Kapoor and Divya Bharti. In his early stages of acting, SRK was recognized for his villainous roles in the films Darr in 1993, Baazigar in 1993 and Anjaam in 1994. He then gained stardom and prominence after starring in a list of romantic films Dilwale Dulhaniya Le Jayenge (1995), Dil To Pagal Hai (1997), Kuch Kuch Hota Hai (1998), Mohabattein (2000) and Kabhi Khushi Kabhie Gham (2001). He also earned critical acclaim for his portrayal of an alcoholic in Devdas(2002), a NASA scientist in Swades (2004), a hockey coach in Chak De India (2007) and a man with Asperger syndrome in My Name Is Khan (2010). “King Khan”, has appeared in more than 80 Bollywood films, and earned lots of accolades, including 14 Filmfare Awards. One of the most popular Actors in India Shah Rukh Khan is an Indian film actor, producer, and television personality. Shah Rukh Khan is popular worldwide and receives love from different parts of the world. 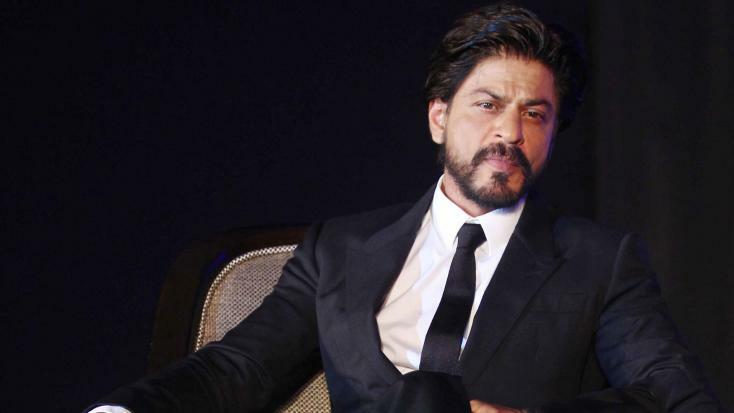 He is a Referred to in the media as the ‘Badshah of Bollywood’. Shah Rukh Khan is also known by the name of SRK and has a signature move from a particular film. He started his acting career with appearances in several TV series in the late 1980’s. SRK is one of the most hardworking actors in the world. SRK struggled at the early times of his career. He used to borrow money from his friend to travel to film city. Shah Rukh Khan has many fans and he always greets them in a positive way. The way of talking with everyone also describes the behavior of the person. Shahrukh Khan was born on 2nd November 1965. SRK made his debut in Deewana in 1992 alongside actress Divya Bharti. SRK still look young and is very fit and fine due to regular exercise. There are two sons and one daughter and SRK’s wife in Shahrukh Khan’s family. Aryan Khan (Born: November 13, 1997), AbRam Khan (Born: May 27, 2013) and a daughter Suhana Khan (Born: May 22, 2000). Shah Rukh falls in the strings of love with “Gauri” when he was 18 years old. He saw “Gauri Chibber” for the first time at a common friend’s party in 1984. That moment he had to marry this girl. On 25 October 1991, the couple got married. Shahrukh Khan with his acting has produced a lot of hit movies. He is a perfectionist in acting and portraying different types of roles. All Shahrukh Khan’s movies have a lot of drama in it. We are selecting the top 10 movies which we think you should watch. List of awards honored to Shahrukh Khan according to Wikipedia. Here is the list of Shahrukh Khan’s Upcoming New Movies. Social Media is a powerful tool in the hands of the audience. Connect with Shahrukh Khan means to stay updated with what’s going on with SRK and his life. Latest information about his movies and more. Best way to stay connected with celebs Social Media Accounts like Facebook, Twitter, Instagram and more. Twitter is a popular social media mainly opted by celebrities for a professional talk. In Twitter, you can retweet the tweet or comment and start interacting with personalities. Shahrukh Khan’s Twitter Account has more than 36M followers. Instagram is growing with a very good speed and soon will be the most used social media in the world. You can stay connected with SRK on his private profile. Link to Shahrukh Khan’s Instagram Account.